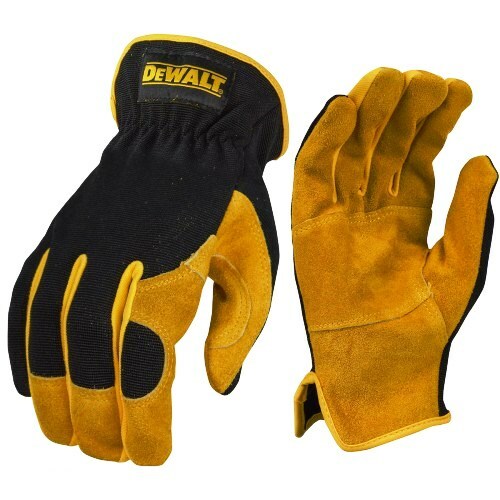 DeWalt DPG216 Gloves Leather Hybrid Driver provides the protection and durability of a driver, with the fit and dexterity of a performance glove. 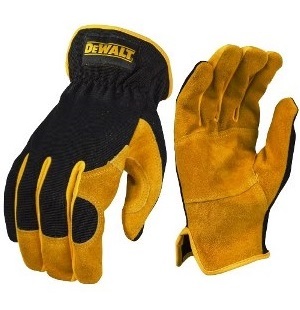 Split cowhide leather finger & palm overlays provide extra grip and durability. Short slip-on cuff for easy on and off. Lightweight, breathable spandex back allows for a cool, comfortable fit. Reinforced saddle overlay provides additional durability. Size Large and X-Large.